Dennis Lowery has had two ghostwriting projects for clients optioned: a novel (for film rights by a studio) and a creative nonfiction book (for screenplay development). 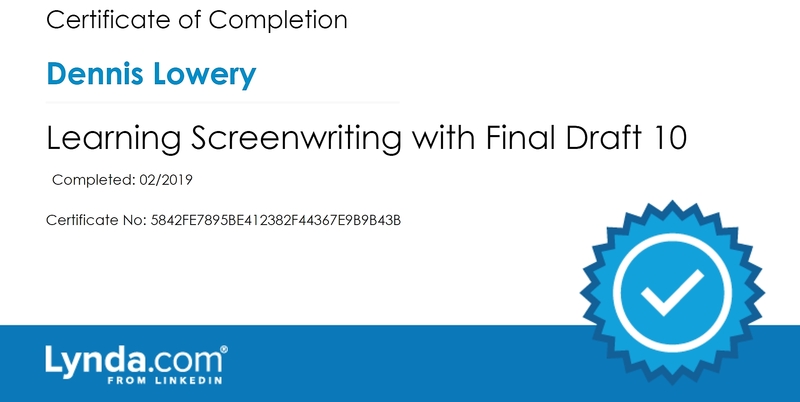 He works on screenplays (using Final Draft) and as an added option can include a screenplay (along with their book manuscript) for clients based on their creative nonfiction and fiction ghostwriting project. As standalone projects—not linked to book ghostwriting—by the end of 2019, he will also offer Screenplay, Treatment, and Scriptment writing services for clients.